Self-published New Zealand author Tammy Robinson says a “significant five-figure” deal with a United Kingdom publisher is “huge”. Piatkus has acquired two novels by Tammy – the first book Differently Normal will be published in 2018 and the second Photos of You in 2019. Formerly from Rotorua, Tammy now lives on a farm in the Waikato with her husband and three young children. In an interview with the BMS Write Stuff blog, Tammy told the story of how after going the self-publishing route she sought out Vicki Marsdon of WordLink to help find a publisher. While the five-figure sum is big, we get the impression that it is the opportunities opening up for Tammy that is the key. The Bookseller reported that associate publisher Emma Beswetherick and Anna Boatman at Little, Brown Book Group, in their first joint acquisition for Piatkus fiction, did the deal for world rights with Vicki Marsdon at WordLink. 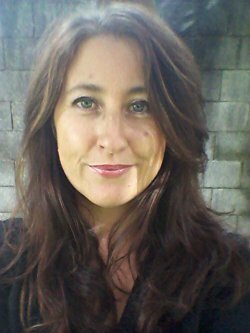 Kate Stevens at Hachette Australia will publish Differently Normal in New Zealand, also in 2018, as part of the collaborative deal. Tammy says the deal, which will see her books distributed throughout Australia, New Zealand and the UK from next year, is a dream come true. However, it hasn’t been without hard work and a great deal of achievement through self-publishing via Amazon Kindle. Differently Normal, for example, achieve 60 five-star reviews on Amazon UK. Michael Smith: Hi Tammy, thanks for taking the time to do this interview. Can you please tell me something about yourself? Tammy Robinson: Hi Michael, thanks for asking me to do this interview. I am from Rotorua, New Zealand and have lived there the majority of my life apart from a few years working on cruise ships and island resorts. I married my husband ten years ago and we now have three beautiful pre-school children, who keep me very busy! We’ve recently moved to a farm in the Waikato, talk about lifestyle change. I’ve gone from being woken by traffic to cows mooing in the paddock next door! MS: I understand you have self-published two books – how did that come about? Tammy: Actually, I have seven books self-published, although the last one has now been acquired by Piatkus UK. I wrote my first book back in 2011 and tried the traditional route of approaching publishers. Back then, most still preferred paper submissions and the postage to approach multiple agents and publishers overseas proved costly and out of our budget. I did nothing with the book for two years until my husband bought me a kindle and I realised, hey, I can do this myself! I self-published Charlie and Pearl in 2013 and a book or two every year since. MS: What was that experience like? Tammy: It was wonderful. My books were finally out there, unleashed on the world and being read by people other than my friends and family. I even got messages from people in other countries telling me how much they loved my books. MS: You have now had two of our novels selected by an international publisher. Can you tell me how that came about please? Tammy: In 2015, I decided I would approach an agent who I knew represented two fellow Kiwi authors. She agreed to take on my books and at the start of this year she approached Emma at Piatkus with my latest book, who loved it. After a nervous wait while Emma pitched the book to the powers that be, Piatkus made a joint acquisition with Hachette Australia for Differently Normal and my next book, Photos of You. MS: How important was the role of your agent in making this happen? Tammy: Invaluable. Without her it simply wouldn’t have happened. MS.: What does this mean for your books and for your writing direction or career? Tammy: It’s huge. From next year my books will be available in shops around Australia, New Zealand and the UK, which is a dream come true for me. There has also been movie interest in Differently Normal, so hopefully something comes from that! MS: How did you get into writing? Did you always write as a child or is it something that came to you later? Tammy: Yes, I’ve loved writing and reading for as long as I can remember. My father and grandfather are both natural born storytellers, so I guess I inherited the gene from them. I’ve always known I’d write books one day, and the dream was always there to have them on the shelves in shops. Just shows you should never give up on your dreams. MS: How do you describe your writing…your stories? Tammy. They all start from the smallest thing, a fragment of a dream remembered, an article online, something someone says when I am out in public. I usually get that scene down first and then the book idea comes from there. With most of my books (except Differently Normal) I had no idea half the time what would happen or how it would end, I simply wrote the book as if I was reading it. I’ve recently discovered there can be some benefits to having a story mapped out first (faster to write for instance) so I am playing with that too. As long as I can still take off on a tangent when the book demands it I’m okay. I class my books as Contemporary Fiction, or contemporary Women’s Fiction, but I know men who have enjoyed them as well. They did have romantic elements to them but they are not romance, in that you won’t always get a happy ever after. I try and reflect real life. MS: Young adult or YA is a particular genre. I wonder if you could describe how you go about writing for your readership, please? Tammy. I would only say one of my books is really classed as YA (The Insignificance of You), I have a couple that are NA but they all appeal to people of all ages. I tend to be vague about my characters ages for that purpose. I have teens reviewing my books who love them as well as sixty plus year old women. MS: Do you draw on your own experiences or do you have special way of approaching stories? Tammy: Yes, you will find experiences from my life throughout all my books, as well as emotions that I am going through at the time I write them. I wrote When Stars Collide just after my mother passed away very suddenly, and I poured a lot of my feelings into it. Tammy: I am currently writing Photos of You every chance I get, which is not as often as I’d like with three pre-schoolers. Luckily, I have a very understanding husband. It will be published in 2019 by Piatkus UK and Hachette Australia. Once the book and edits are finished I will get stuck into the next one. I always have a book (or two) on the go, and I will keep writing until I can write no longer. Note: Michael Smith is the publisher and director of Business Media Services Ltd and BMS Books Ltd.